A new chapter has begun in the life of home-grown bookstore Page One. After closing its only physical store in Singapore in 2012, it is now revived as a bargain bookstore in The Cathay, reported The New Paper. It is far from the only bookstore to have downsized, or even disappeared, over the years. Here are some well-known brands that fell victim to the strong winds buffeting Singapore's book scene. 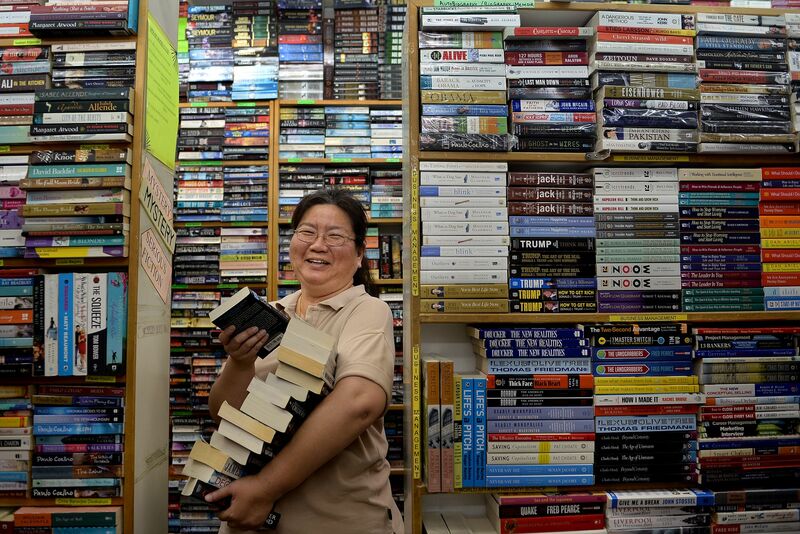 For almost 30 years, Sunny Bookshop delighted locals who wanted to either rent or buy second-hand books. It had only two locations: Far East Plaza where it began in 1985, and Plaza Singapura, which it moved to in 2010. Packed into a 700sq ft store were about 30,000 books and service known for its excellence. But rising rentals, changes in reading habits, and the inability to find successors to the business meant that it had to close down in 2014. 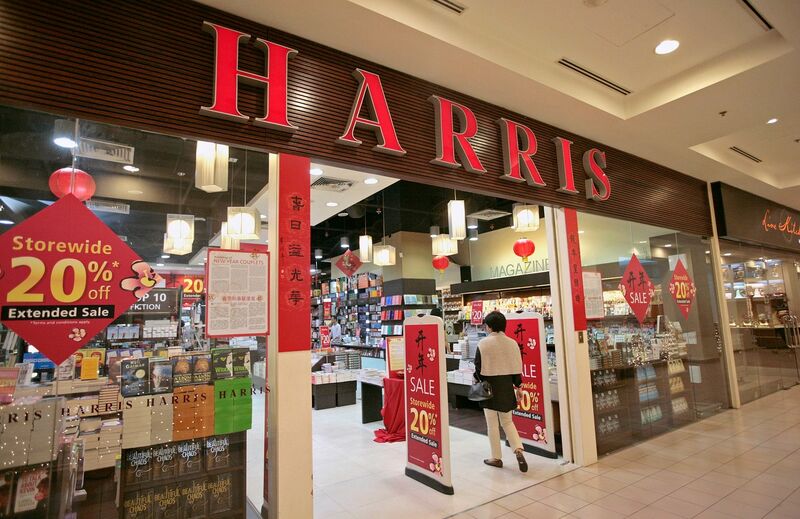 Popular Holdings bought the Harris brand in the early 1960s, and at its strongest had seven stores in Singapore. Back in 2006 when their expansion from one to three outlets was announced, its operations manager said that there were plans to open even more. In November 2011, it closed its Jurong Point outlet, followed soon after by its Great World City outlet in February 2012. It attempted a rebranding by stocking its 313@somerset store with graphic novels and related merchandise, but even that did not keep the store alive. In 2012, Harris closed for good. The American bookstore empire began in 1971 when Borders opened its first store in the US state of Michigan. It expanded to Singapore in 1997, but in 2011, both Australia-based REDgroup Retail, which owned Borders' operations here, and the Borders Group in the US closed down, sounding the death knell for the stores in Singapore. On Monday, Sept 26, 2011, the page closed on Borders bookstore at Parkway Parade. As reported in The Straits Times, many customers lingered outside the store even after exiting to take pictures of its logo and wave goodbye to the staff inside. 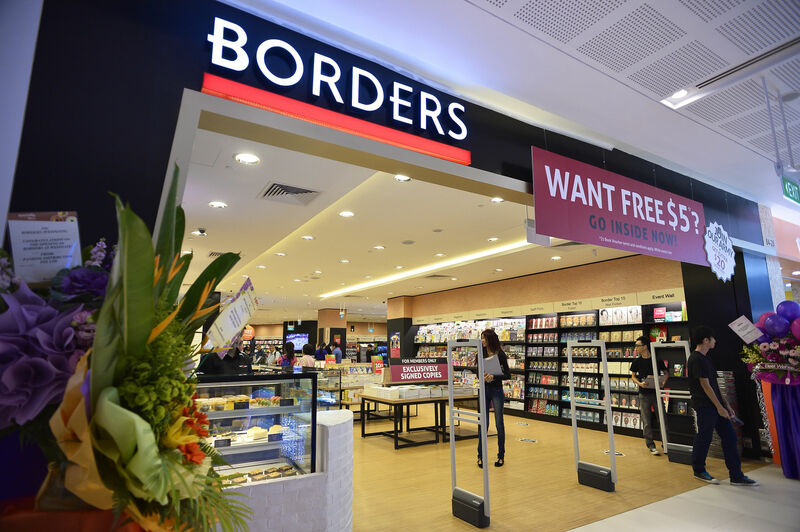 Popular Holdings briefly revived the Borders brand in late 2013 at Jurong's Westgate mall, but that experiment ended mere months later with the company deciding to turn it into a standard Popular bookstore. Book lovers who went to EMF Bookstore could buy their favourite tomes, and get most of their money back if they returned the books within about a month. 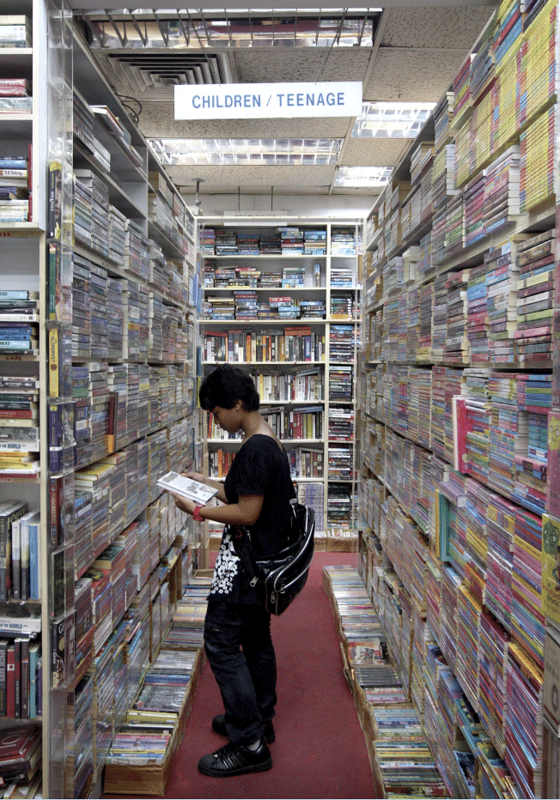 In its heyday, the EMF book rental chain operated at least six stores islandwide. Like many bookstores in Singapore, it fell on hard times and in 2014 moved out of its Holland Road Shopping Centre after 27 years there. Fortunately, less than a year later, it reopened there as the mall owners lowered rents and shortened leases to try and bring back some vibe to the place. 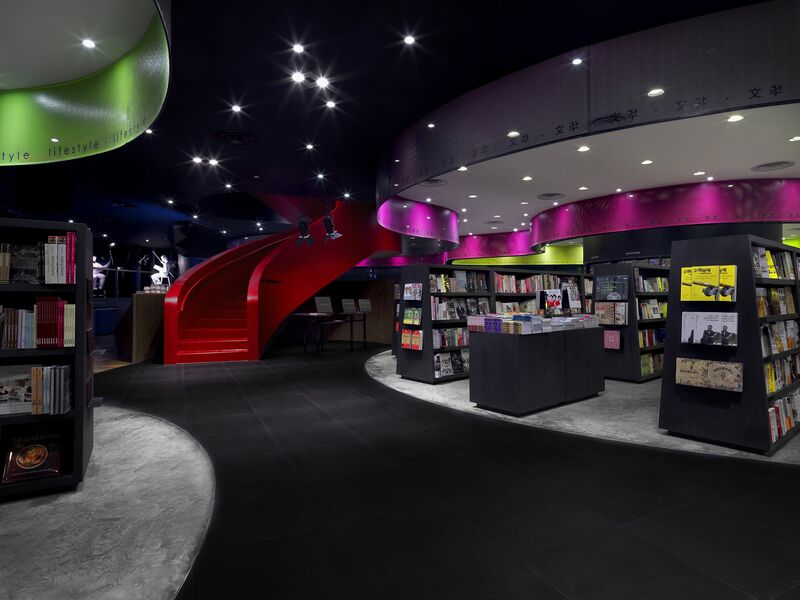 When it opened in 2009, Prologue was meant to be different from other bookstores. A lifestyle bookstore, sprawled over two storeys in Ion Orchard and with a cafe, its identity was much more chic than the heartland-heavy vibes of the Popular bookstores run by its parent company Popular Holdings. But four years later, it shuttered due to rising rentals and lower profit margins. Then, Popular Holdings' group chief executive Chou Cheng Ngok said: "We failed because we couldn't manage to have a gathering, a following for this brand." Correction note: An earlier version of the story stated that Harris had three stores before it closed. There were seven outlets. We are sorry for the error.